Medipedia is a decentralized medical information and service portal that has been created on the blockchain technology. The project was launched earlier this year and the ICOsale (token sale) is running now. If you want to invest in the Medipedia ICO but worried about the project’s trust and authenticity, here are some points that can help you with that. 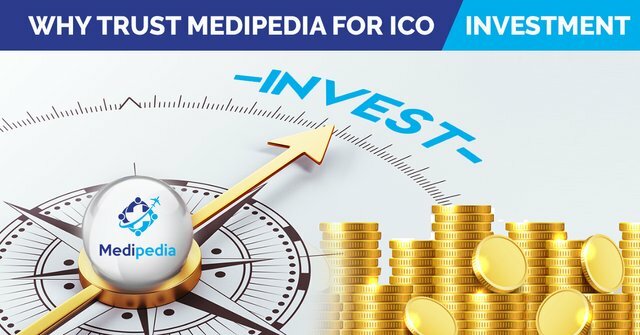 There are many reasons why Medipedia has been termed as one of the most promising ICOs of the year. It is a reliable project backed by a team of experts who are real and have a positive image in their respective fields. Let’s know about other reasons why you can and should trust Medipedia with your money. Here are the things which can show potential investors why and how Medipedia is a Genuine ICO and not a fraud. Most of the ICOs out there are fake because their team is not genuine. That is not the problem with Medipedia, as the project team consists of real people who are experts in their respective industries and actually contribute to the platform. There are also many famous doctors associated with the platform. You can connect and even meet with these people for insurance. Unlike most fake ICOs, Medipedia tries to solve an actual problem that has been crippling the healthcare industry for a very long time now. The current medical information is centralized with medical institutions and cannot be transparently accessed by patients. Medipedia is a decentralized platform that provides access to transparent and reliable medical information so that it can be accessed by consumers and doctors, as and when they need it. One of the best trust factors of the Medipedia platform is that it provides a solution that actually has a demand in the market. Therefore, it is sure to become a success. Another plus point about Medipedia is the security of user data and transactions on the platform. The user privacy is maintained and protected at any cost. Besides the high trust point, the Medipedia project will benefit its users in terms of money as well as usability. Let’s see how. In exchange for their ICO investment, the investors will get MEP tokens which is a utility token and has many applications, as described below. The Medipedia platform is a complete healthcare information, search and service portal where one can not only find information about good doctors and medical institutions, expertise-wise, but also they can search and compare service providers and connect with the best in their budgets. The MEP tokens can be used to gain access to the platform and make payment for all the services and transactions within Medipedia. The holders of MEP tokens will also benefit in terms of huge returns on their investment. MEP is an ERC20 token which can be traded on a number of global exchange and can be used to buy other cryptocurrencies and even some fiat currencies. The value of the token will increase as the Medipedia project become more popular and gets in demand with time. Medipedia ICO sale is live now, Sign up today for investment.